Two compact disc recordings (sold as a two-disc set) support the concepts introduced in Level 2. 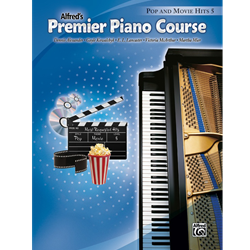 The disc for the Music Lesson Book includes the narration for the story, as well as two performances of each piece---an acoustic piano version and an orchestrated version. The disc for the Music Discovery Book contains all of the songs and the "Listen and Sing" examples in the book performed by a teacher and students. In addition, professional performances of all listening examples for music appreciation and movement activities are included.